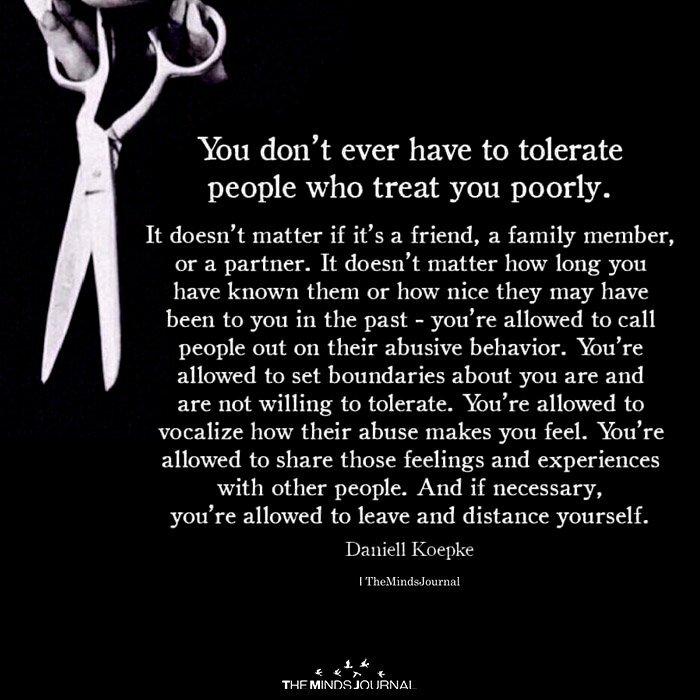 You don’t ever have to tolerate people who treat you poorly. It doesn’t matter if it’s a friend, a family member, or a partner. It doesn’t matter how long you’ve known them for or how nice they may have been to you in the past – you’re allowed to call people out on their abusive behavior. You’re allowed to set boundaries about what you are and are not willing to tolerate. You’re allowed to vocalize how their abuse makes you feel. You’re allowed to share those feelings and experiences with other people. And if necessary, you’re allowed to leave and distance yourself. Hard to trust anyone now a days.